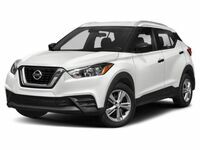 Completely new to the Nissan lineup is the gorgeous 2018 Nissan Kicks crossover. With incredible fuel efficiency and an affordable starting MSRP, the Kicks is an easy choice for many drivers. It even provides a little kick while driving with its 125-horsepower, 1.6-liter engine and Xtronic CVT® transmission. And it has incredibly responsive handling and control with various driving technologies that enhance its experience and ride comfort. Plus, the you’ll enjoy a refined interior that only features premium materials and is designed for the utmost comfort and style. For instance, there are the optional Prima-Tex™-appointed seating and instrument panel trim and chrome accents that can be placed throughout the cabin. There are many ways to customize both the interior and exterior of the Kicks to make it more personalized and stylish. 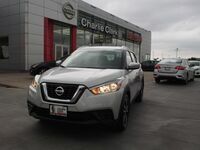 The Nissan Kicks also comes standard with Automatic Emergency Braking and Forward Collision Warning on each trim level. Other Nissan Intelligent Mobility features are also available on higher trims, such as Blind Spot Warning and Rear Cross Traffic Alert. For more information about the 2018 Nissan Kicks, you can contact us online or by calling 956-295-3028. 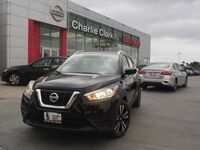 We also recommend scheduling a test drive of the Nissan Kicks online. Interested in a 2018 Nissan Kicks?